This morning I headed into town to attend the BumbleBFF event that Jess was kindly hosting. It was held at Blend, which is already one of my favourite spots in Nottingham. Such a bright, open space that is great for having a coffee or bite to eat whilst knuckling down on some work. All the natural light in that places really does help pick you up and keep you motivated. Now, to be honest I had never heard of Bumble until I had saw Jess's post about her becoming their Nottingham Queen Bee. 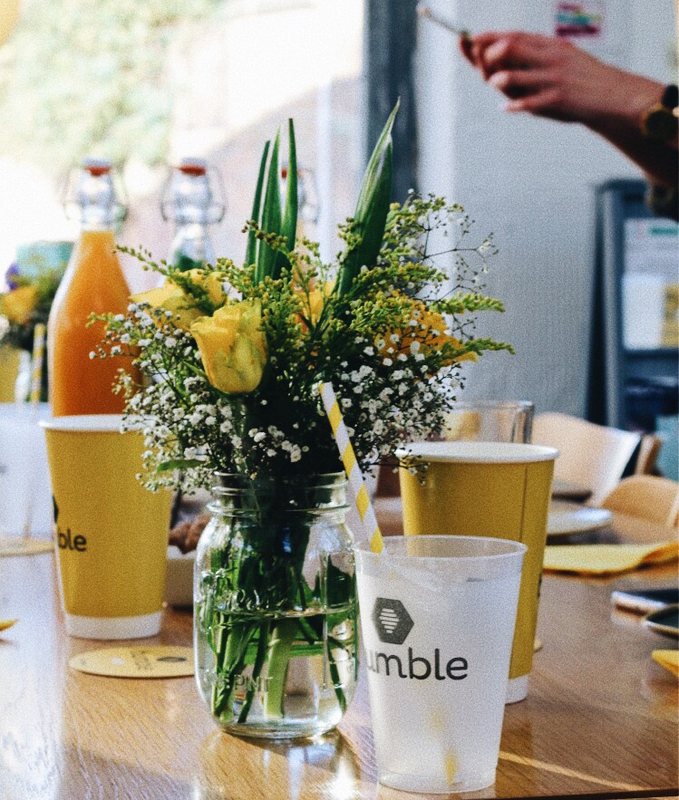 I was lucky enough to be invited to her first Bumble event and I had a lovely morning. I got chatting to the lovely Becki, Becca and a few other girls there and it was absolutely lush to meet so many likeminded ladies. So much chatting and pastry eating that I actually forgot to take more photos! Oops..
As I was chatting to a few of the girls we realised and all agreed that it seems the older you get the less opportunity there is to meet other likeminded people. Unless, of course, you're super social and go out all of the time. That's not me, unfortunately. Which is why in my recent 'Setting Myself Some Goals' post I included that I would try to attend more events to help push me out of my comfort zone. Since moving from Newcastle to Nottingham about 3 and a half years ago, the only time I've been able to meet new people is through work. Which is why I think something like Bumble BFF is a great idea. There is definitely something very motivating and empowering about surrounding yourself with a good group of ladies and that is definitely something I have missed since moving away from my home city. Short and sweet post this evening but I hope you have all had a wonderful Sunday and here's to meeting new people and making new friends! This is super awesome!! I've tried BumbleBFF before too and it was definitely something I appreciated. 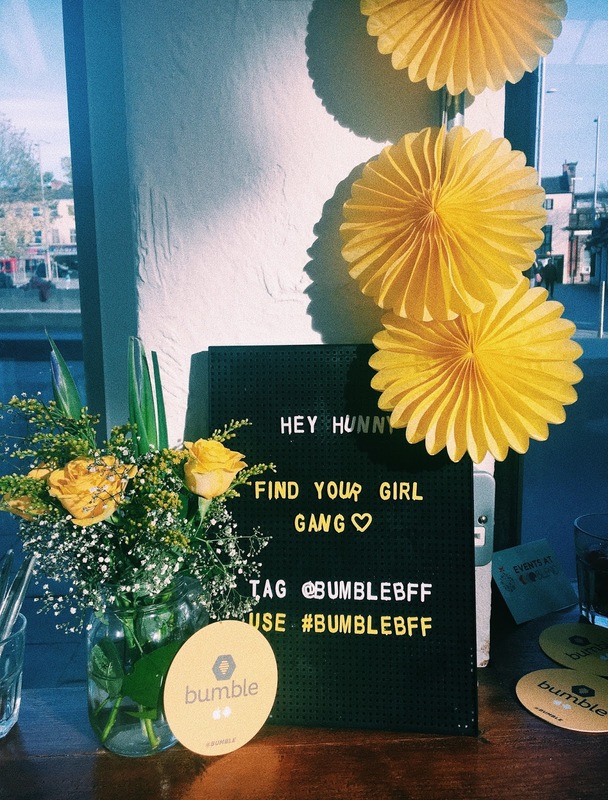 It really is harder to make friends as you get older, and as I leave college, I think I'll really rely on things like BumbleBFF to find like-minded ladies!